Again this is a very green nailart. 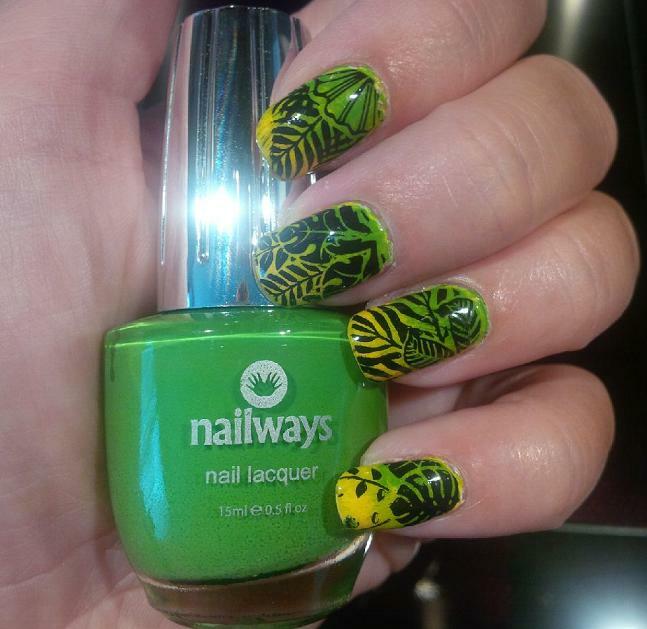 That because of the latest Nailways polish collection Nature. I started with 11. Simply White as my basecoat. To use a white first that works better for gradiënts. Then I used Peel Off and put that on the skin around my nail. If there comes any nail polish from the gradiënt or stamping on the skin, I can easily peel it off later. After that I took a sponge set and sponged some yellow at the top of my nails with 132. Spiked. For the greens I used first 72. Grass and the darker green polish 73. Tree. Nailways also sells the brand MoYou now. 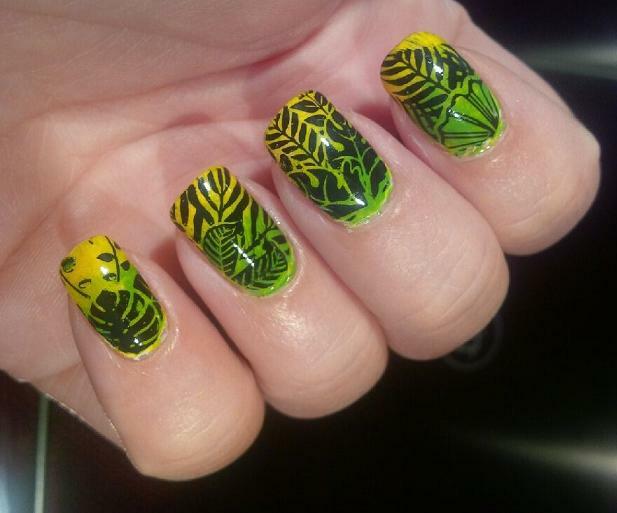 So I was very excited that I could use a stamping plate of them. I choose Tropical 11. I used the images of the plate with are below. These are beautifull tropical leaves. At every nail I used a different image. I stamped with a black stamping polish. After that I sealed everything with a top coat. Do you also like green polishes or don't you use that color much often?